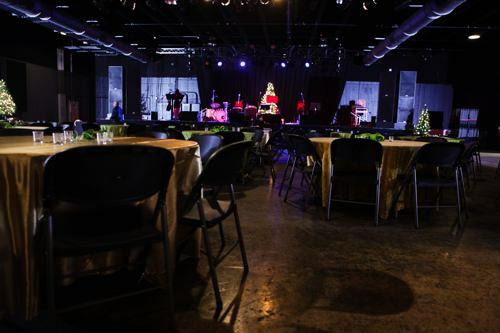 Rocketown’s largest venue is equipped to handle any full production event! Its urban, industrial style acts as a great canvas for: TV production, banquets, conferences, fundraisers, church services, video shoots, corporate parties, and more! Stage is 40’ wide (48’ at wings) x 24’ deep x 3’ high and modular. A reconfiguration fee applies.